Let me start off by saying how much I really like it here! My name is Topeak and I was donated by Malinda Swyers in May of 2014. We had been together since 1999. This was the hardest decision for my mom to make, but she had to relocate out of state and I could not go with her. I know she is very heart broken and I miss her a lot, but this is the next best place for me. I am so happy and loved. I miss her too, but I am going to make her proud by what I can give to this program. I was born in 1994, so I still have great years ahead of me. I am in such good shape; I don’t look a day over 12 – lol! 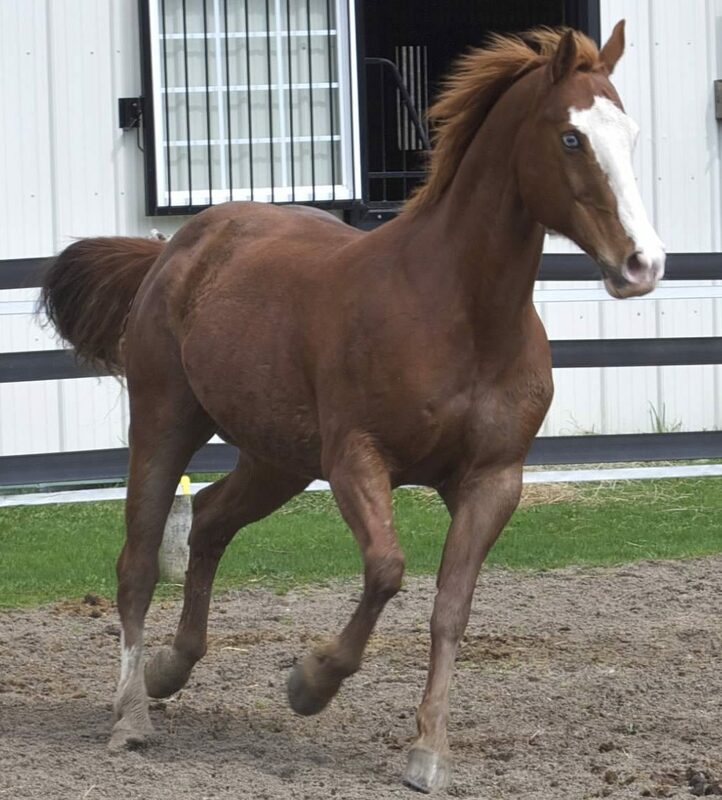 I am a sorrel Quarter/Paint gelding with a bright blue eye, the right eye to be exact. Don’t be alarmed when you see it, there is nothing wrong with my vision; the blue eye just sets me out in the crowd. And speaking of crowds, boy do I love to be the center of attention. I especially like when people talk to me. I really do understand what you are saying. I love being groomed and could just stand there all day. It is a very good thing because I could find a mud puddle in the middle of a drought. I have excellent manners; my mom taught me well. I listen extremely well to voice commands when you are working with me. I was mostly ridden Western so I do neck rein, and was ridden on the trails too, so I will walk through, over or under anything. I am a little more responsive to my riders leg cues, so if you squeeze to trot, we are trotting – no resistance from me! I love being part of this program. I have made lots of friends both two legged and four; it is probably because I am so social. I do very well with the activities in the ring – as you may notice I am always paying attention. I especially enjoy walking out on the carriage trail. Not much more to say about me; ‘what you see is what you get.’ I will see you soon!